This desert planet has no modern show of life on the surface due to the lack of liquid water, yet several stone ruins stand in what would be temperate regions. The atmosphere is too thin to allow breathing without an environmental suit. The old riverbeds lead to several cave openings. This leads many explorers to believe that the ancient people may have lead water underground to continue the civilization. It is unclear if the planet's surface came to its present state naturally or through war. This planet has no outpost, no known resources, and hasn't even earned a name for itself from explorers. Some day, valuable resources may be found in the atmosphere, but for now most pilots will pass this planet without a second thought. Early explorers found this barren planet orbiting around a blue giant start. From space, the planet had a light purple haze to its atmosphere, so the exaggerative name of Fuchsiar came naturally. It was soon discovered that the soil consisted of slight iron content. Believing that iron mining would prove valuable, a consortium of traders established an orbiting space-drill above the planet. When titanium alloys and composite materials overtook steel in most sectors, the iron trade collapsed. The outpost remains nearly delelict to this day, aside from occasional traders who temporarily make residence. The Bynar system, of sector Kappa Kappa, consists of two planets of identical size whose orbits around each other match with the length of their days. Bynar 0001 has a retrograde orbit. Over the eons, the tidal pulls between the planets have caused identical continents to form on both, just mirrored. The ocean currents and wind currents are mirrored as well. It is believed that the peculiar orbits originated from a time when this solar system may have had one larger planet that was shattered by an impact of immense proportions. Over time, gravity formed the two halves into spheres. Once inhabitants of the planets decided to pursue different industries and crop growth, trade began to boom between them. Before that point, identical development on both planets made trade irrelevant. Very few interstellar traders visit one planet and not the other due to the benefits (and warm welcomes) extended by both. The entire surface of Rho Theta's Aquarius is covered in brackish water. In some regions, land is visible under the vast ocean's surface. These fishing hotspots make the bulk of the planets food trade. The remainder of trade comes from various weapons that are tested in the deep waters after being constructed under extreme water pressures. There are several large cities on the planet. Many are mobile, floating on the surface of the water; while others are self-contained in large domes at the ocean floor. The latters are so deep in the water that no one except the Aquarians know of their locations. The general Aquarian is a devious business tycoon, using shrewd speech to convince sales to almost anyone. In fact, they brag about how they profit from both sides of conflicts by selling weapons at marked-up prices... Then during post-war rebuilding, they sell food and water to the distressed people. 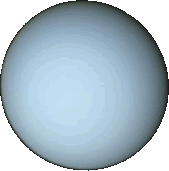 Uranus is one of the planets in the Sol System of sector Mu Mu. No outposts exist around this gas giant, but occasional Terran vessels travel into the area for recon of the nearby moons. This planet has an axis tilt that places its poles nearly on the plane of its orbit, giving it more than three times the tilt of Earth. It is known to be the coldest gas giant in the Sol System and a storehouse of water, ammonia, and methane, for potential gas mining. With the numerous asteroid belts in the galaxy formed from failed planets, it is very common to find rogue asteroids floating through the depths of space in many sectors. Depending on which elements existed in the failed planet formation, the rogue asteroids may be worth mining, or they may be nothing more than clumps of interstellar trash. It is always a good idea to investigate every asteroid found because traders may take an interest. 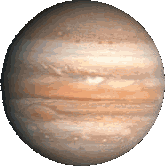 The Jupiter Outpost is a small space station that orbits the gas giant neighbor of Earth. 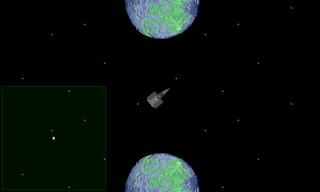 It acts as a hub for mining and recon operations on the Galilean moons. A small shipyard augments the importance of this outpost by encouraging trade beyond just the Sol System of sector Mu Mu. Those stationed here believe that one day the operation may be able to permanently settle on Europa, due to the abundant water in the frozen ocean, or Io, because of the active volcanos that provide many easily accessed ores. For now they are content with the unobstructed view from space of what is, arguably, one of the most beautiful sunrises in the Sol System. 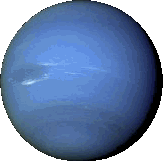 Neptune is one of Earth's neighbors, the eighth planet in the Sol system of sector Mu Mu. It's a cobalt blue gas giant with several moons, none of which contain outposts. Several dwarf planets and planetoids lie beyond the orbit of Neptune, but it is considered to be the final planet in the Sol system. Some of these bodies orbit in the way that Neptune does not traverse its path around Sol in a perfect ellipse, leading early astronomers to believe a Planet X lied beyond it, creating a gravitational pull. Later, Pluto and its moons were discovered. In the galactic timeline, this event happened a short while ago: A planet in the Psi Theta sector ceased to exist. No evidence remains for the cause of this destruction, but it could've been a number of factors. From the size of the debris cloud, the planet appears to have been very small, perhaps the size of a Galilean moon. Pangaea, in the Iota Lambda sector, is covered in 85% arid land. The remaining 15% consists of one sea. It is believed by the inhabitants that Pangaea was one a planet void of water until a large comet collided in ancient times, creating a deep impact crater. The ice them melted to form the brackish sea. Several cities with populations in the millions lie along the coastlines, where water is plentiful. A few smaller settlements lie in the eroded mountain ranges due to the vast deposits of minerals and ores. That is where the hub of interplanetary trade takes place. Arctica B is the second of Arctica's barren moons in the Mu Xi sector. Although no resources exist in the soil, there are trace amounts of water vapor in the atmosphere. Arctica B effects the tidal pulls of the planet's core like its twin, creating heated water in the depths of the frozen ocean, where life thrives. Arctica A is the first of Arctica's barren moons in the Mu Xi sector. It is nothing more than a chunk of rock orbiting the planet. Being closer than its twin to the planet, Arctica A has the largest effect on the gravitational tidal pull in the Arctican core, creating heat deep under the ocean surface, where life thrives. Arctica is a frigid planet located in the Mu Xi system. Much of the inhabitable region near the equator has been described as Siberia. The Arcticans would rather not describe the rest of the planet for fear of scaring off vacations who come to ski on the vast mountain ranges during the short summer. Most of the native population's economy shifted to mining operations after an avalanche uncovered a natural cave network left by now-dormant volcanos in the larger mountain range. Before that point, the dwindling tourism industry was lackluster at best. Alpha Centauri Prime is Earth's closest extrasolar neighbor in the Lambda Mu system. A large establish civilization exists here due to its early settling. Prime's climate varies greatly over its year due the major secondary star, Beta, orbiting Alpha. The third star, Gamma, is too small and too far to make much of a difference. Most of the planet's surface is covered in water, but small continents and several island chains make up roughly 10% of the area. Most of the continental area has been explored, yet the islands remain untouched jungles and rain forests. 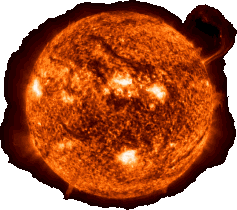 Sol is the main sequence star of Earth and Mars. It is considerably smaller than the giant classes yet vastly larger than neutron stars, and it is often considered a yellow star for those seeing it from within Earth's atmosphere. The Sol System contains no other stars, yet debate has waged over the idea that Jupiter may have been a failed star. No outposts exist near Sol or even its closest planet, Mercury, due to extreme temperatures, but probes frequently orbit the star to gather data on sunspots, solar flares, temperature changes, and other natural phenomena. Most probes can stream data briefly, but the heat eventually destroys the probes unless they are shielded well. Additionally, data have to be transmitted at extremely high frequencies to avoid interference from the star. Over the centuries, experiments have been conducted with solar panels, solar sails, and ramscoops. All have been successful after continued trials, leading to potentially unlimited energy uses. Two neutron stars at Kappa Eta are in the process of colliding. This is emitting extremely high levels of radiation and plasma streams, resulting in interferance that jams scanning instruments. What makes this phenomenon so interesting is the small scale of the collision. The total expanse, excluding plasma streamers, is eclipsed by Luna. The Gravitational Echo of Beta Psi is an enigma. Is its cause natural or could it be the malfunctioning of a derelict ship in cloak and partially unphased from normal space? Whatever it may be, it cannot be directly seen, but its effects can be detected. The phenomenon is causing fluctuations in the fabric of space, rippling all electromagnetic emissions beyond it. Direct study is impossible, meaning there is no benefit to long-term studying. Yet, it could post danger to ships shields in close vicinity, and one wouldn't even want to consider how damaging the gravitational fluctuations could be to the hull. Ether, located at sector Kappa Nu, serves the the gas mining hub of its region of space. Several city platforms hover in the upper clouds with collectors mining atmospheric gases to extract useful compounds. The most common exports of Ether include ammonia, methane, hydrogen, and tritonium. When collected, gases are compressed to 1,000,000 atmospheres and stored with inertial-dampening forcefield containment inside standard cargo pods for safety and mobility. The people of Ether must stay inside the platform enclosures when not wearing protective gear. Until better protection technologies become more feasible, mining into the deeper, more dense region of the planet's atmosphere will be impossible, but the Etherians see credit signs whenever they think about that future. Vulcan, located in sector Nu Iota, is a vulcanically-active planet with rivers of lava flowing over most of the surface. Magma spewing from the mantle makes collection of minerals and natural alloy ores much easier than by drilling. Yet, since the surface is so hot, not many miners have even tried adapting their tools for this planet. One small outpost sits high on a plateau, above the liquid surface, sending heat-resistant equipment down the hillside to pull the panned goods upward for purification. The residents of Vulcan are miners who only hold allegience to those willing to pay top-credit for the fruits of their intense labor. The Lunar Colony exists on Earth's sole natural satellite, Luna. Once the exploratory digging mission on Luna revealed many rich minterals just below the surface, colonization exploded. Currently several Terrans nations form a consortium for trade, sending many representatives to live on the Lunar Colony for years at a time. These residents have learned to live in harmony, no matter their nationalities, calling themselves the Lunarians to act as a single entity for interstellar trade. The Lunar Colony leads in Terran exploratory mining and trading negotiations across many planets and asteroids throughout the galaxy. The Mars terraforming community has become the adopted home of the Augments, a genetically-engineered race of Terrans who were exhiled after the Great War. The Augments were originally volunteers who underwent genetic resequencing for strength and intelligence to fight the fleet invading Earth, but the Terrans feared them after seeing their incredible abilities, not stopping once to think that the Augments were mentally conditioned to protect Earth. All movement to and from Earth is forbidden during the cold war, so trade of goods and technology their must be through and intermediary. Due to the embargo on Earth trade, the Martian Community became one of the first major trading planets with Terrans who have settle abroad, leading to a surge in interstellar commerce. The Martian Community is known for its shipyards and trade with many locations. Even though the Lunar Colony, at its close proximity to Earth, keeps close trading ties with the Martian Community. 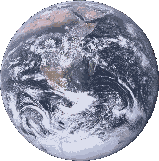 Earth is home to the Terrans, one of the primary races in HullBreach. All human races in the game originally stem from the Terrans. After a long war with an extraterrestrial species, the Terrans reverse-engineered remnants of advanced technologies, allowing colonization of space to eventually begin. The Terrans used these newfound technologies spread throughout the Sol System and beyond. Currently their main trading partner is the Lunar Colony, which is located on Earth's sole natural satellite. Earth is known for its production of numerous types of starships and its aim to rapidly advance its defensive and offensive capabilities in the cold war with the Martian Augments. The people of most planets hold no hard feelings toward their motherworld, but the Augments would say differently.